Few cities in the world are truly challenging for vegans these days. 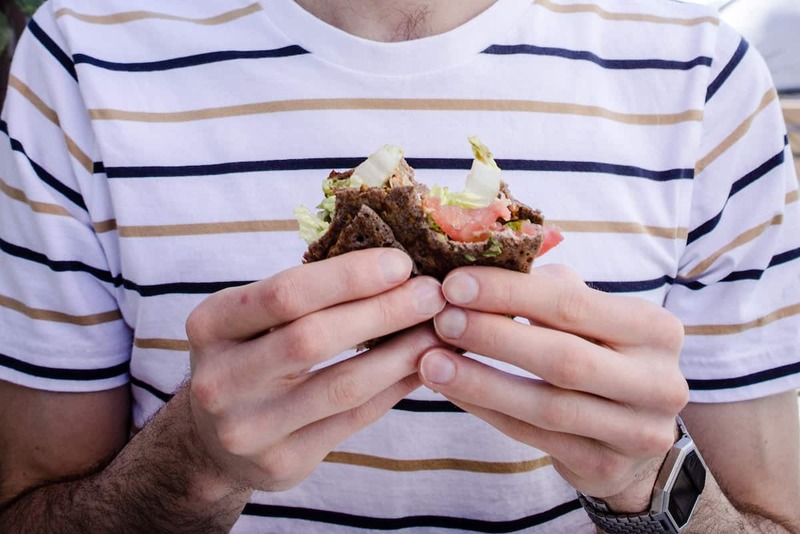 With the rise of plant-based chains like Veggie Grill, Copper Branch and so many vegan foods widely available in supermarkets, plant-based travel is possible almost everywhere. Then there are the cities in which it’s just a pleasure to be vegan. Places where the food options are so abundant that they’re actually confusing! San Diego is one of these, with its plentiful vegan restaurants, juice bars and health food stores. 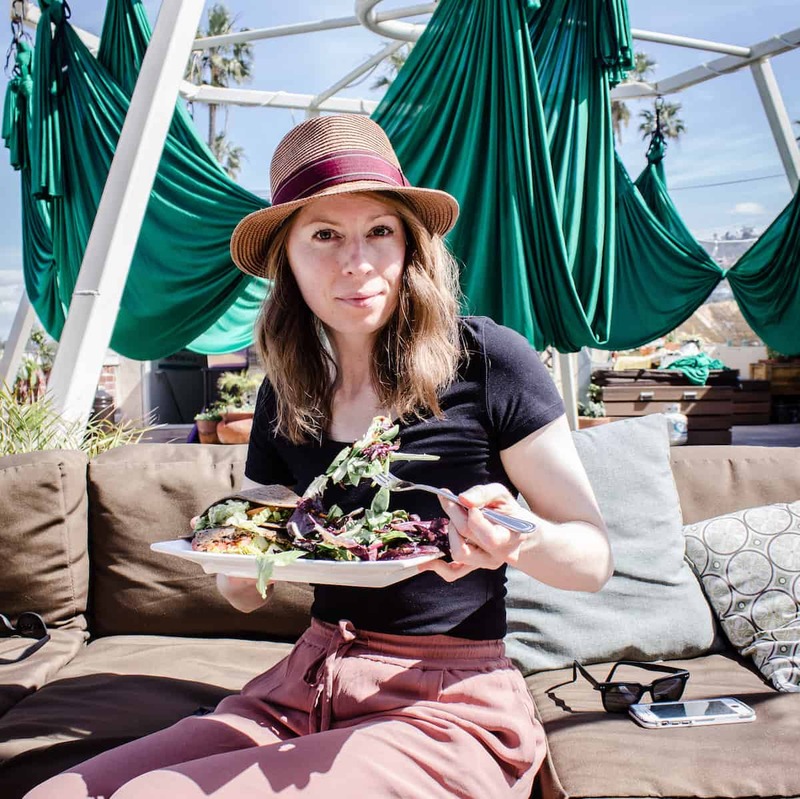 I recently visited and was charmed by the city’s warmth and friendliness, its size (certainly not tiny, but not as immense as LA) and its abundance of quality plant-based food. 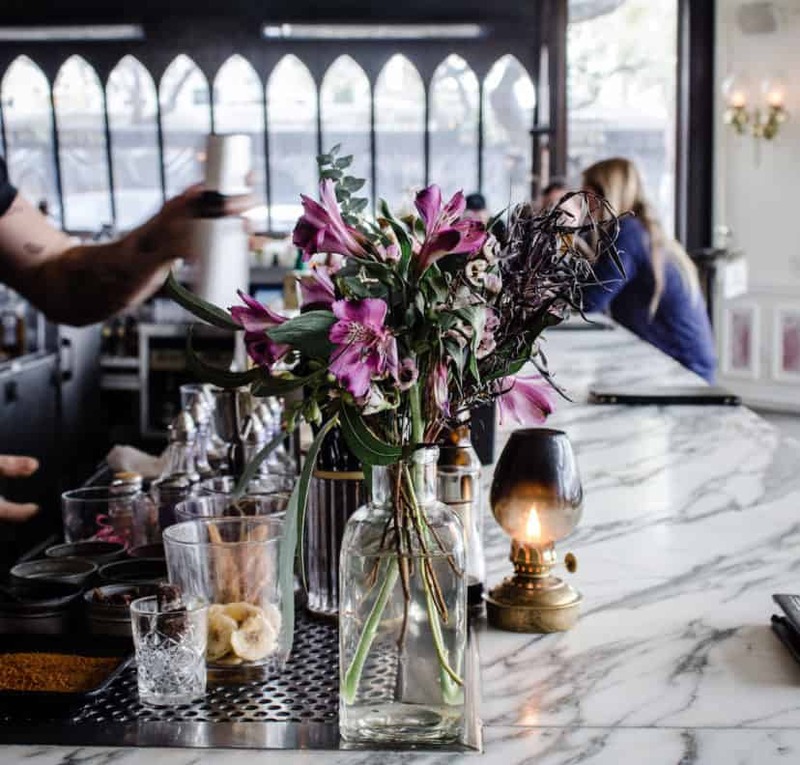 I thoroughly enjoyed its Southern Californian fare, and would really recommend visiting. Read on for my top recommendations for where to eat vegan in San Diego. My suggestions below are a tiny selection of the options available. I was only in San Diego for five days and was unable to try everything! But these were my favourites from my time there – on my ‘must-do’ list – and I’d heartily recommend each one. I always travel with the Happy Cow app. I find it an invaluable resource when it comes to looking for vegan and veggie places to eat. It costs a small amount to install, but in my experience it’s completely worth it. You can view all nearby vegan-friendly restaurants in a list or in map format. The app also provides reviews, which are so helpful when you’re deciding where to go! This post isn’t sponsored by Happy Cow, I just honestly find that their app saves me time when travelling. Café Gratitude – Possibly my favourite spot in San Diego, Café Gratitude is not only beautiful (think lots of light, airy booths and gorgeous floor tiles) but the food is incredible as well. All vegan except for bee products, you’ll find a mix of wonderful whole food options that also manage to satisfy those comfort food cravings! 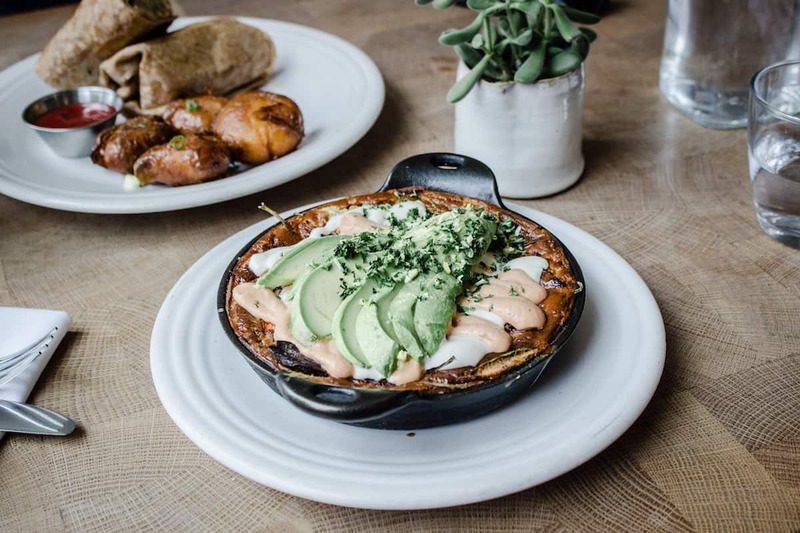 Go for brunch and try their cast iron chickpea quiche with avocado. 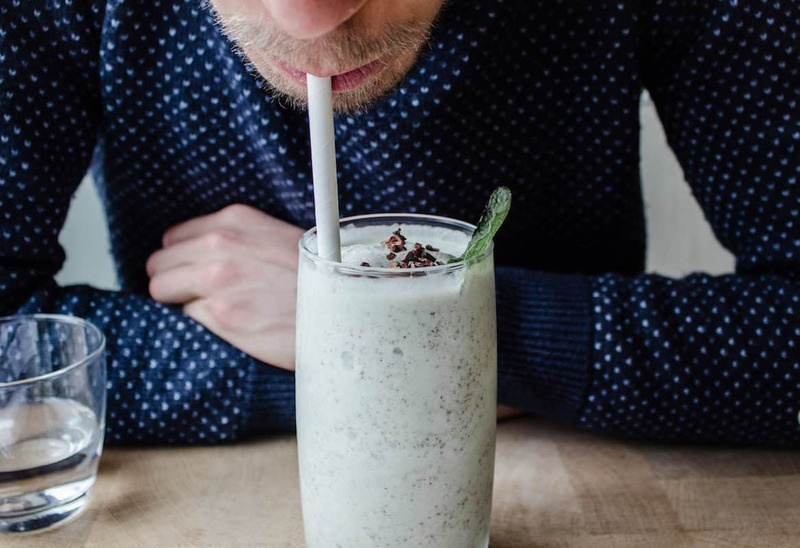 Also try the Cool – an amazing mint chocolate chip shake made with cashew ice cream. Donna Jean – I discovered Donna Jean alone, on my first day in the city. My man was ensconced in a conference and I was free to explore San Diego on my own. I walked for what seemed like hours and ended up at this beautiful shaded outside courtyard. There was no one else there (San Diegans lunch late) and I sat in the courtyard soaking it in. 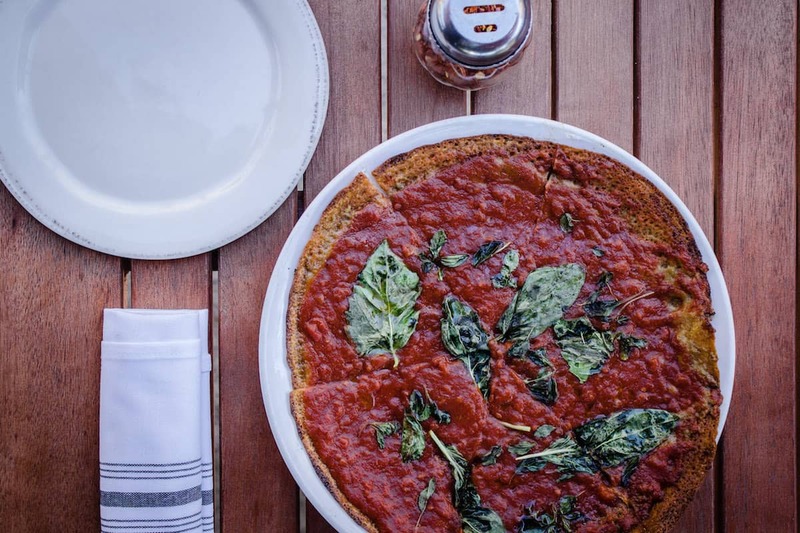 The server recommended one of the simplest options on the menu (a tomato and garlic socca flatbread pizza). It turned out to be utterly delicious – mouth-watering and juicy. The calm ambience and moreish vegan food were just perfect, and I’d gladly go back in a heartbeat. Trilogy Sanctuary – Trilogy is an absolute gem, the sort of place that makes you want to move to San Diego instantly. A combination of yoga studio, store and rooftop restaurant, you could sit here all day enjoying the ambient atmosphere. Located in nearby La Jolla (north of San Diego), the vegan menu is all whole food-based and delicious. We tried buckwheat crepes and avocado chocolate mousse and wanted to stay forever. 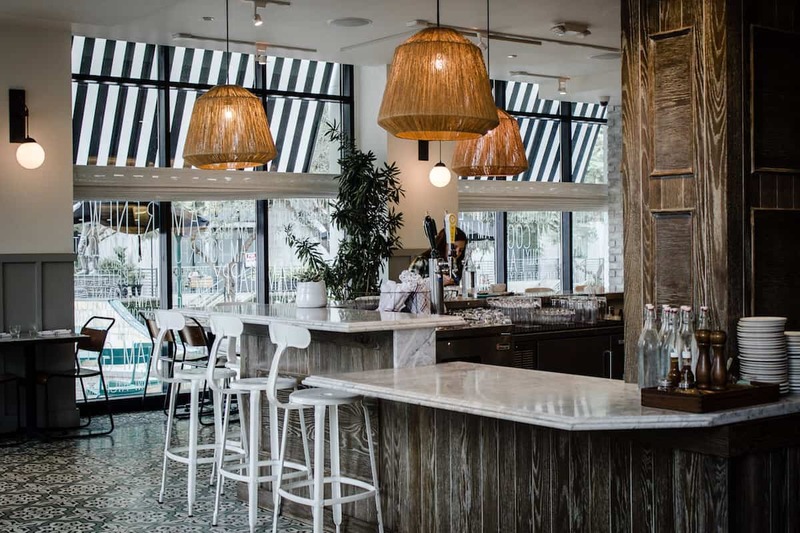 Anthem Vegan – Anthem is a spacious vegan diner with button-cute booths and décor. The portions are huge (as you’d expect in a diner) and filling, and will alleviate any craving you have. Their burgers are dirty (in the best kind of way) and totally comforting – try the Beyond Impossible, containing both the Beyond AND Impossible patties. They also serve healthier options, but lets be honest: if you’re going to Anthem you’re probably not going for the salad. Hazel & Jade – This cute little spot is very easy to miss. Totally unassuming, I stumbled across it and would have carried on walking were it not for the tiny sign. A completely vegan bakery, Hazel & Jade are known in California for their croissants, and having tried a cheese and ham one, I can see why! The croissant was flaky, buttery and perfect. If I hadn’t known better I would have assumed it wasn’t vegan! This little piece of deliciousness is the perfect place to stop for a coffee and pastry on a morning walk around the neighbourhood. Kindred – A must on any vegan’s list, Kindred is one of a kind. To start with, the décor gets 10/10. Beautiful pink floral wallpaper is offset by a giant ram’s head on the wall, and finished off with fresh flowers and gas lamps on the tables. 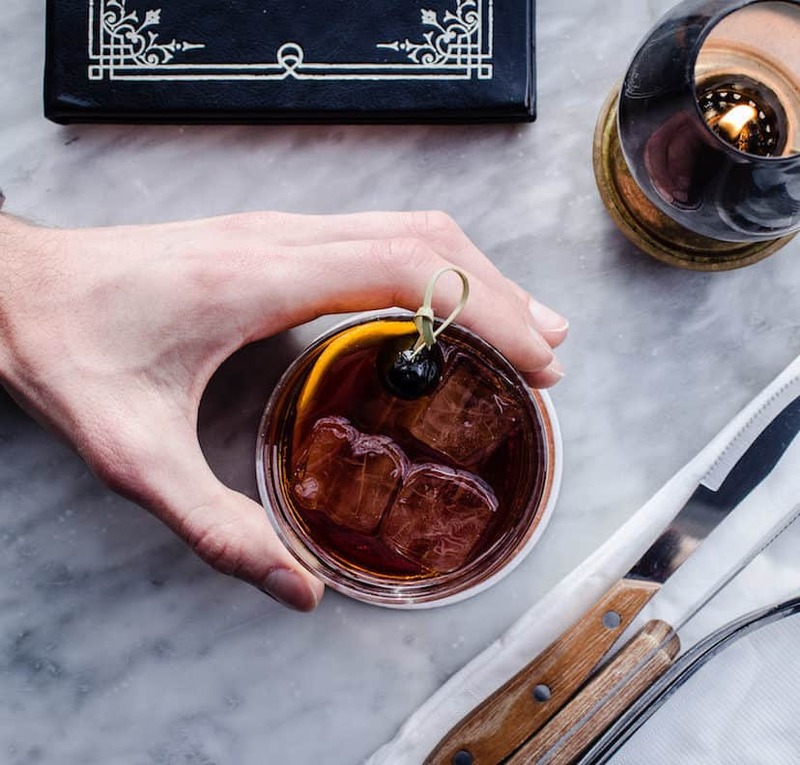 The cocktails are reason enough to visit, with evocative names like Dripping Sun and Harmonic Blossom. You’ll taste the quality in each one. Finally the food menu, though small, is excellent. 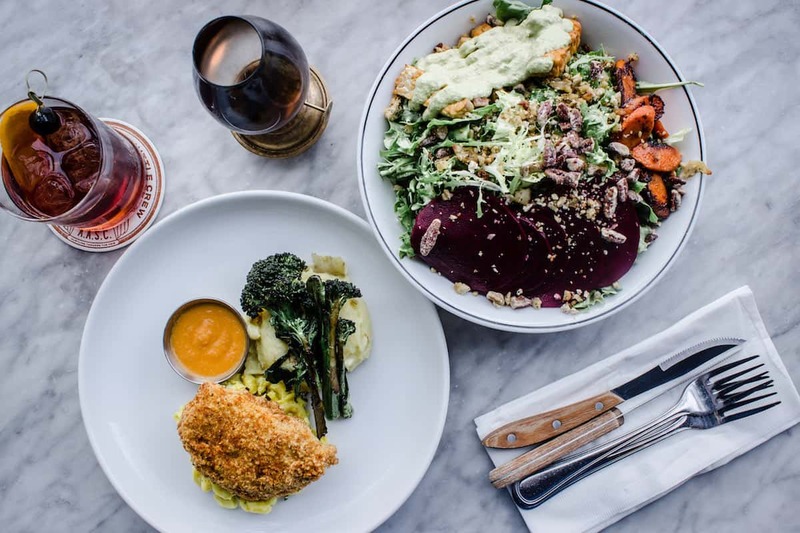 Try the Deli Battle (a vegan charcuterie board) and the Soul Crush (cornmeal crusted patty with parsnip potato mash, cashew beer mac and vegetables). I genuinely wish we’d had more time here and will be returning when we’re next in San Diego! Peace Pies – The perfect place to offset San Diego’s abundance of comfort food, Peace Pies is a fully raw, vegan café. Offering everything from smoothies and lasagnes to cinnamon rolls, it may be raw but it’s all delicious! The Bliss Burger and Loving Lasagne were incredibly filling and tasty, and the raw donut was incredible. Raw desserts are often even more indulgent than cooked ones, and those at Peace Pies are no exception! We tried a 5-layer slice that contained raw caramel, chocolate, cashew-coconut cream and a biscuit base. Highly recommended. Jimbo’s….Naturally! 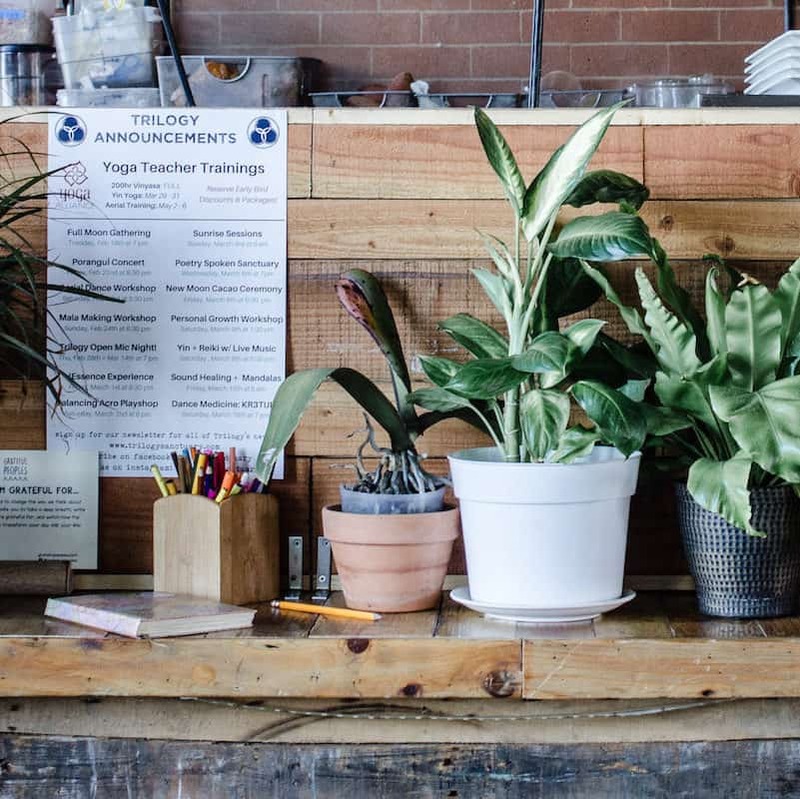 – Although not a vegan café or restaurant as such, I didn’t feel that I could write a guide on where to eat vegan in San Diego without at least a nod to Jimbo’s. A San Diego-based chain of large health food stores, Jimbo’s carries a huge range of vegan foods and snacks. It even has a deli and salad bar with lots of vegan-marked items. Useful primarily because there’s a branch located right in Downtown San Diego where there aren’t many other vegan food options (they tend to be a little further afield), we found this spot incredibly helpful for late night meals on the go as it was close to our hotel and open late. For evenings when you just want to curl up with a healthy meal in your hotel, Jimbo’s is perfect.